Parkinson’s Disease is the second most common neurological condition in Australia. 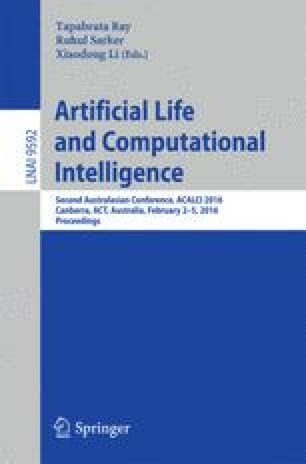 This paper develops and compares a new type of Wavelet Neural Network that is evolved via Cartesian Genetic Programming for classifying Parkinson’s Disease data based on speech signals. The classifier is trained using 10-fold and leave-one-subject-out cross validation testing strategies. The results indicate that the proposed algorithm can find high quality solutions and the associated features without requiring a separate feature pruning pre-processing step. The technique aims to become part of a future support tool for specialists in the early diagnosis of the disease reducing misdiagnosis and cost of treatment. We acknowledge Max Little, from the University of Oxford, UK, who created the database in collaboration with the National Center for Voice and Speech, Denver, Colorado, USA, who recorded the speech signals.